Our Natural Rind Cave maintains the least interactive approach to handling the cheeses. Cheeses here are encouraged to express the microbes present in the cheese as well as those present in the cave itself. These cheeses are an expression of place in terms of both the cheese’s origin and its time spent in the Caves at Murray’s. 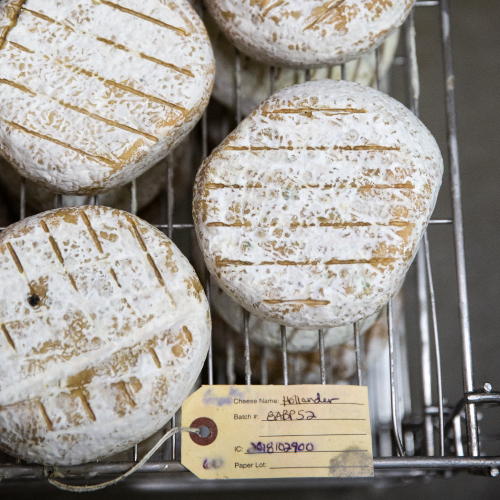 Because of this, the microbial variety of the natural rind cheeses is constantly changing. 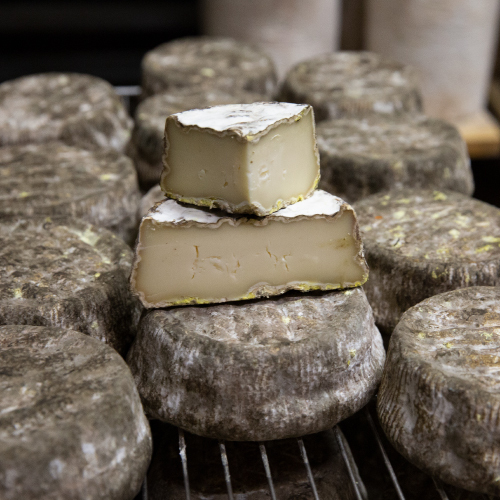 Moderate humidity keeps the young, developing rinds alive in the Natural Rind Cave, while a slightly colder temperature ensures that the cheeses ripen at exactly the right pace for peak flavor. A great multitude of microbial diversity can be found in the natural cave. A few of the more notable guests include the gray-brown mold, Mucor racemosus (sometime called “cats hair” mold for the long mycelium it produces); the golden-yellow Chrysosporium sulfureum (often associated with a vegetative bitterness in cheese similar to chicory or endive); the red-orange Sporendonema casei (a rare mold only found on the surface of cheese), the off-white Penicillium camemberti (the same mold found in the Bloomy Cave); and the blue-green Penicillium roquefortii (as its namesake suggests – the mold responsible for the spiciness of blue cheeses such as Roquefort).